When we attempt to discern what is pleasing to the LORD, we find that attitude makes a big difference. When we observe humanity's history, we see that this will be no small task! If this is the goal, we might ask why didn't God create us to automatically "do good"? Wouldn't that have been the easier path? Of course He could have done just that. 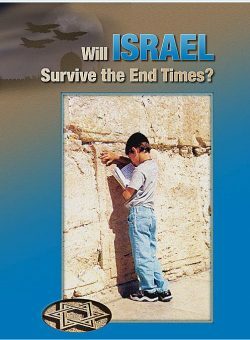 If so, we would have been spared the past 6,000 years of sin and its resulting devastation. However, we would have operated robotically. Our lives would lack the element that would bring us the deepest happiness! God's choice was to create intelligent creatures in His own image with the sake of accomplishing His ultimate goal. 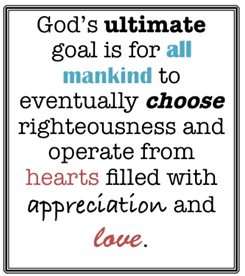 This goal is for all mankind to eventually choose righteousness and operate from hearts filled with appreciation and love, not to do these things because they are robots who have been programmed. That goal has made humanity's experience with sin and death necessary. Dedicated Christians, come to understand this. We need this experience, that we may forever remember it in contrast to the beautiful conditions that will envelope us in God's kingdom. This is where our appreciation and love is derived! Not all can see this now. But those of who do, those who profess a relationship to Him and His son, have a responsibility to cooperate with His plan and work at becoming the people He wants us to be. We are to be willing servants. 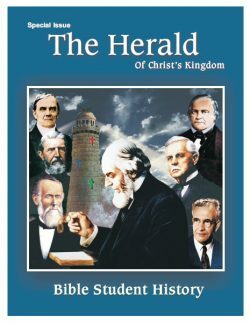 To see what this entails, let us examine the "portrait" of a true servant of God as portrayed in the Scriptures. In Exodus 35, God gives instructions for the building of the tabernacle (a temporary place for the Israelites to commune with God). 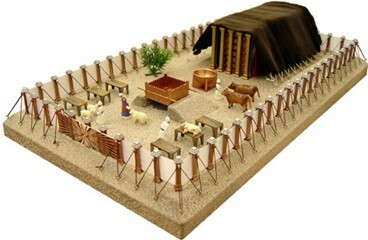 All the materials for the construction of the tabernacle were to come from the Israelites. Here, He makes it clear that a spirit of willingness was essential: Vs. 5 "Take ye from among you an offering unto the Lord: whosoever is of a willing heart, let him bring it, an offering for the Lord…"
Vs. 21 "And they came, every one whose heart stirred him up, and every one whom His spirit made willing, and they brought the Lord's offering to the work of the tabernacle…"
Vs. 29 "The children of Israel brought a willing offering unto the Lord, every man and woman whose heart made them willing to bring…"
Now, God could have built the tabernacle Himself, and told them, "This is where I will commune with you…." but God knew that when we donate, labor or sacrifice for a special cause, that cause takes on more significance in our hearts! What would have happened if there had not been anyone willing to part with their goods? There would have been no place to meet with God, no place to receive His mercy. The Israelites had been granted those items by the Egyptians before they left. 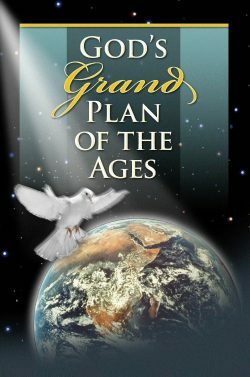 The plagues put upon the Egyptians made them anxious to be rid of the Israelites. They even gave their gold to be sure they would be able to survive the trip…and not return to them! This was God's doing! 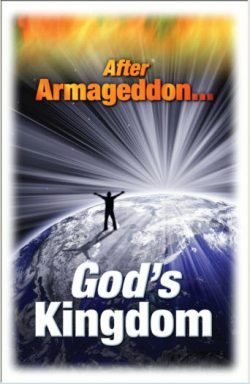 They had these possessions, because God had arranged it! 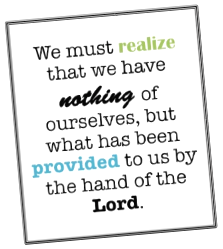 So, we too, must realize that we have nothing of ourselves, but what has been provided to us by the hand of the Lord. When we give willingly, we find the Lord brings our needed blessings. We may think we have nothing worth giving to the Lord, but the Scriptures show, if we are willing, He will provide the needed talent. In Exodus 35, we learn of the man, Bezaleel. The Lord chose him to oversee the actual construction of the tabernacle. Exodus 35:31, "And He hath filled him (Bezaleel) with the spirit of God, in wisdom, in understanding, and in knowledge, and in all manner of workmanship." The Lord provided ALL that Bezaleel lacked to get the job done! 1 Chron. 28:9, "And thou, Solomon, my son, know thou the God of thy father, and serve him with a perfect heart and a willing mind…" The thought of having a "perfect heart" is to have a "complete heart," to have an undivided loyalty. He was to have an undivided loyalty to God and a willing mind to serve Him. God saw these qualities in the young Solomon. Although he was "wise," it was his perfect heart and commitment to the will of God that superseded all. We also have the example of our Lord Jesus. Matthew 20:28, "The Son of man came not to be served, but to serve, and give his life a ransom for many." He came to serve and told us to follow him. 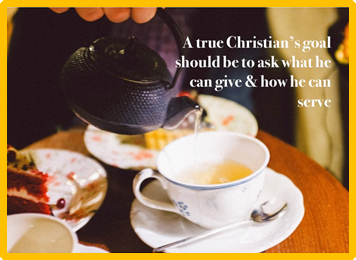 He suggests that a true Christian's goal should be to ask what he can give; how he can serve. Having the right motivation is crucial. Jesus shows us what that is. John 13:34-35, "A new commandment I give unto you, that ye love one another; as I have loved you, that ye also love one another. By this shall all men know that ye are my disciples, if ye have love one to another." Many feel love for others and enjoy their love being returned to them. It is a lovely love! However, a higher form of love exists. It is an expression of love that is given freely without any indication that it will ever be returned. This gift of love may be expressed in many sacrificial ways and may even be towards complete strangers, as in the giving of a service or of monetary means to a charity. What makes it a purer expression of love than that which we do for our loved ones, is in the motivation. It is purely for the other; no personal recognition or benefit to ourselves. It is a love that wants to serve for no other reason than that it is right, good and God-like! for acceptable service unto God. If we consider our lives and find we are not taking advantage of opportunities to serve others, we should examine whether we truly love. God knows our hearts. He wants to see a servant's mentality in us; a desire to demonstrate our love for Him and others. So, we see the importance of a heart willing to serve and that the motivation must be love. Yet, there is more involved in being a true servant. In the eighth chapter of 2 Corinthians, we find that another quality of a true servant is they do not desire recognition. When the Apostle Paul was involved in taking up a collection for some poverty-stricken brethren in Jerusalem, many brethren in the Macedonian area, poverty-stricken themselves, had given more than they could afford; yet not one individual or even a mention of an individual ecclesia was mentioned by name! Here a true spirit of generosity, as well as the spirit of anonymity, is exemplified. Again, we find that the brethren were "overflowing" with joy in being able to give! Isn't that what we would expect out of spirit-begotten children of God? Their magnificent concern for others overrode their own concerns for their own needs! We need more "Macedonian" spiritual leaders! We need those who, by their examples of unselfishness, serve willingly - with overflowing joy. We are all to be spiritual leaders. The qualities that are spelled out for the leaders in the early church ecclesia arrangement are qualities that all followers of Christ should strive for! "For the office of overseer a man must be of blameless reputation, he must be married to one wife only, and be a man of self-control and discretion. He must be a man of disciplined life; he must be hospitable and have the gift of teaching. Deacons, similarly, should be men of serious outlook and sincere conviction. They too, should be temperate and not sordidly greedy for profit. They should hold the mystery of the faith with complete sincerity. Their wives should share their serious outlook, and must be women of discretion and self-control, women who can be thoroughly trusted. Deacons should be men with only one wife, able to control their children and manage their own households properly. Those who do well as deacons earn for themselves a proper standing, as well as the ability to speak freely on matters of the Christian faith." The qualities listed in the above Scriptures are not just for our elected or appointed leaders. Paul is saying that we must elect or appoint (to a position of leadership) only those brethren who definitely already possess these qualities! Consider this list: Serious about their devotion to the Lord, sincere in their convictions, self-controlled, having earned the respect of their children, gentle, trustworthy & discreet! To summarize the portrait of a faithful servant, we see that it is the art of unselfish living, an art that is practiced by few and mastered by even fewer. It is difficult to live unselfishly in an evil world, dominated by evil pursuits. 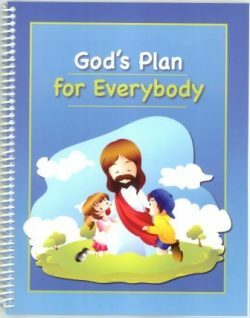 But God's plan is not designed for man to live selfishly, or to treat others in an uncaring manner. 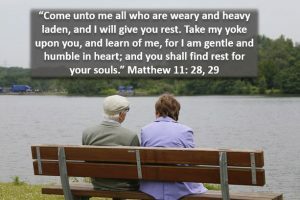 Remember what Jesus said in Matthew 11:28-29, "Come to me, all who are weary and heavy laden, and I will give you rest. Take my yoke upon you, and learn from me, for I am gentle and humble in heart; and you shall find rest for your souls." If we resented our yokes, it would be overwhelming. But, if we accept it as a privilege and an honor, it changes everything. The portrait of a true servant offers a wonderful and gratifying lifestyle. It incorporates a willing heart, the motivation of love, without any need of praise, generosity, humility, gentleness, patience, self-control, sincerity, trustworthiness and above all, commitment. It is now thirty-five years since I, a little boy of six, was left quite alone in the world. You sent me word that you would give me a home and be a kind mother to me. I have never forgotten the day when I made the long journey of ten miles to your house. I can still recall my disappointment when, instead of coming for me yourself, you sent your hired man, Caesar, to get me. I remember my tears and my fear as, perched high on your horse, and clinging tight to Caesar, I rode off to my new home. Night fell before we finished the journey, and as it grew dark, I became lonely and afraid. "Do you think she will go to bed before I get there?" I asked Caesar anxiously. "Oh, no" he said reassuringly. "She will sure stay up for you. When we get out of these woods you will see her candle shining in the window." Soon, we did ride out in the clearing and there, sure enough, was your candle. I remember you were waiting at the door, and you put your arms around me and that you lifted me - a tired and confused little boy – down from the horse. You had a big fire burning on the hearth, and hot supper waiting for me on the stove. After supper, you took me to my new room, you heard me say my prayers and then you sat beside me until I fell asleep. You probably realize why I am reminding you of all this. Someday soon, God will send for you, and take you to a new home. Don't fear the summons – the strange journey – or the messenger of death. God can be trusted to do as much for you as you were kind enough to do for me so many years ago. 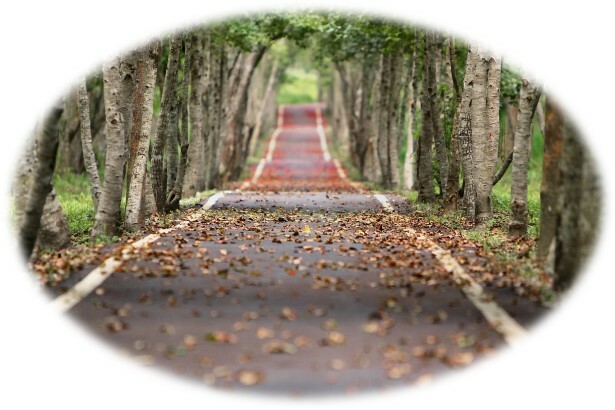 At the end of the road you will find love and a welcome waiting for you, and you will be safe in God's care. I shall watch you and pray for you until you are out of sight, and then wait for the day when I shall make the journey myself and find you waiting at the end of the road to greet me." This lovely story may remind us of the promise in Hebrews 6:10, "God is not unrighteous to forget your work and labor of love, which ye have showed towards his name, in that ye have ministered to the saints and do minister." Likewise, the words of Jesus in Matthew 25:21, "Well done, thou good and faithful servant…enter thou into the joy of thy Lord." May we all see clearly the portrait of a servant as painted for us by the Scriptures. May we see the excellency of living that type of life. May we commit to doing the work of a servant with the attitude of joy.